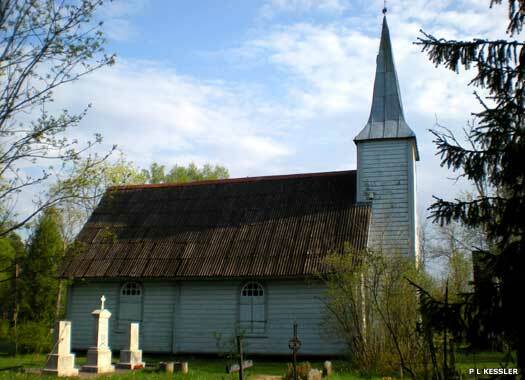 St Olav's Church (Nõva Olevi kirik in Estonian), is in the small village of Nõva, at the northern tip of Lääne County in north-western Estonia. 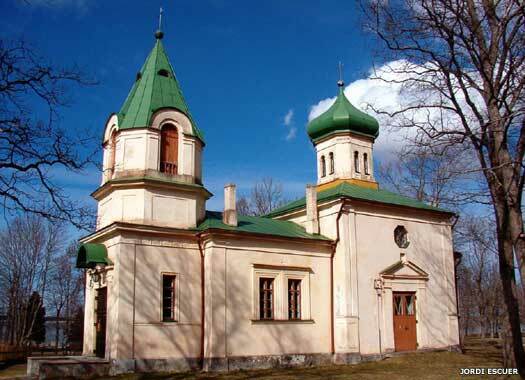 The original Lutheran church here became a chapel of ease for the Holy Cross Church, Harju-Risti, in 1653. The present small church was supposedly built in the eighteenth century. 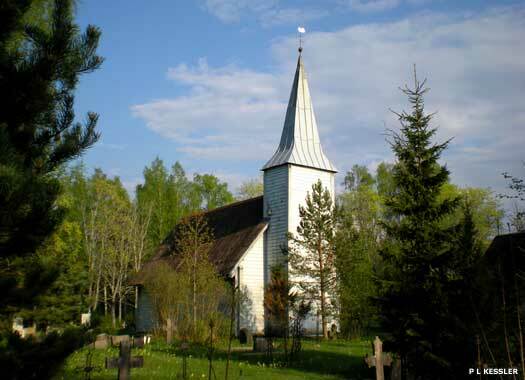 It is a typical wooden church for the coastal regions of Estonia, and this example is one of the smallest churches in the country - one of the very few to have survived. 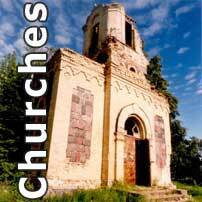 Due to their small size these churches were often called chapels. Inside this one, which lies a little to the south of the village's main street with a sizable graveyard surrounding it, the altar and pulpit were built in the Gothic style. There are benches designed differently depending upon whether they were meant for men or women. On the eastern windows there are some parchment paintings imitating stained glas, presumably originating from the year 1836. The Apostolic Church of St Mary Magdalene (Maria-Magdaleena Apostliku Õigeusu kirik is on the north-east corner of Rüütli and Linda streets in Haapsalu. The first Apostolic church in the town, Holy Trinity, was built in 1756. This wooden church was for military personnel in the town. It was closed in the 1930s, perhaps following a fire. The present church was opened here in 1845, following fifteen years in a stone garrison. It was consecrated on 21 July 1852. One photo on this page contributed by Jordi Escuer.